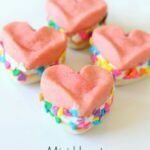 This Valentine’s Day dessert tastes amazing and is super easy to make! 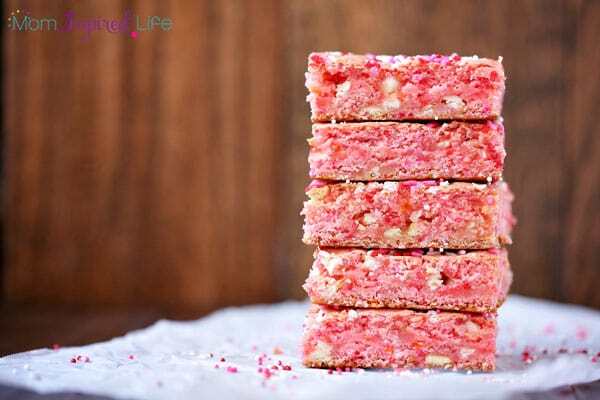 I mean what’s not to love about strawberry cake mix cookie bars? 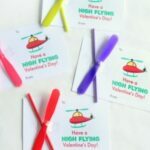 Your kids will love them too! 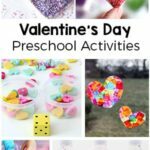 I recently shared this super simple and healthy Valentine’s Day snack for your kids. My kids love it, but sometimes you just have to splurge and go all out too. 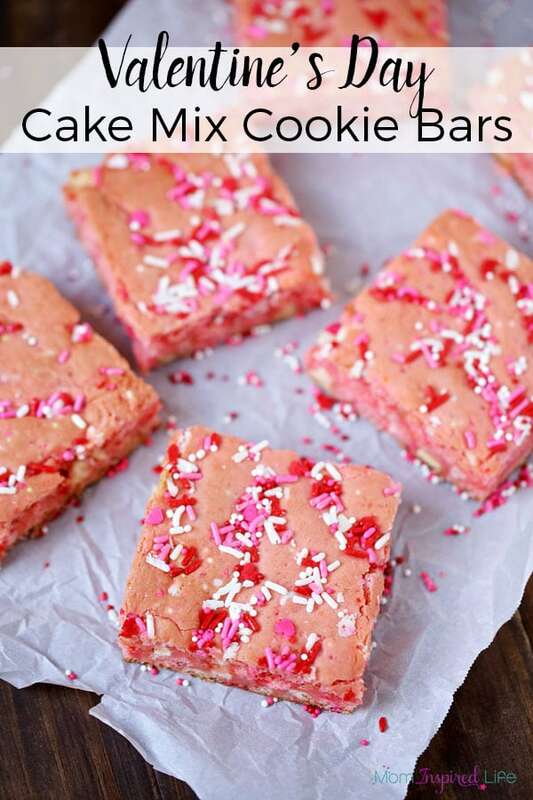 Enter Valentine’s Day cake mix cookie bars. 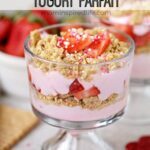 On top of the amazing flavor, it is incredibly easy to make too. 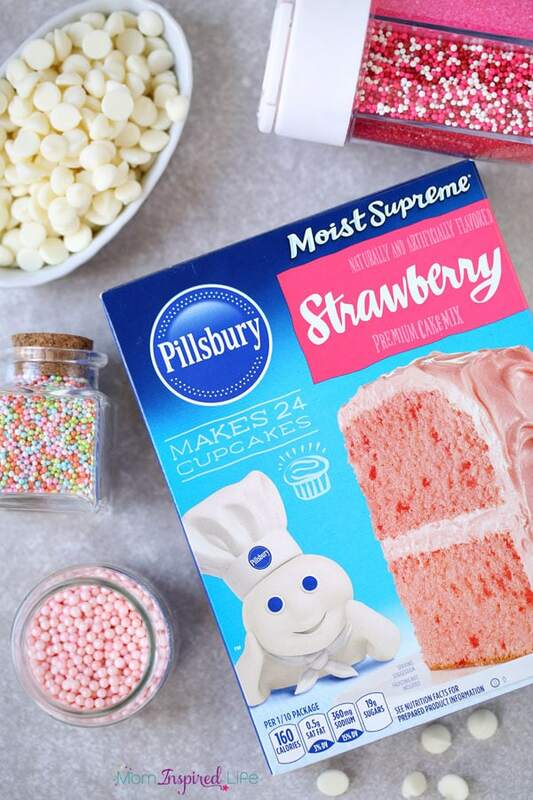 You can have these in the oven baking in a matter of minutes. And you only need a few ingredients. 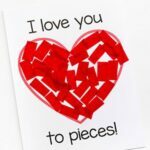 So whip up this Valentine’s Day dessert and make someone’s Valentine’s Day that much more special! 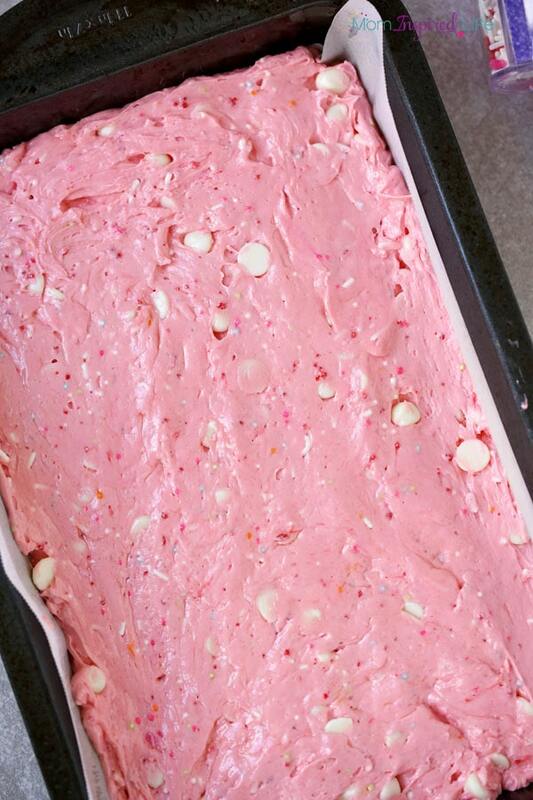 Combine cake mix, milk, oil, and egg in a large bowl and blend with a hand mixer until smooth. This will be on the thicker side, and if you find it is too thick, add in more milk 1 tsp at a time. 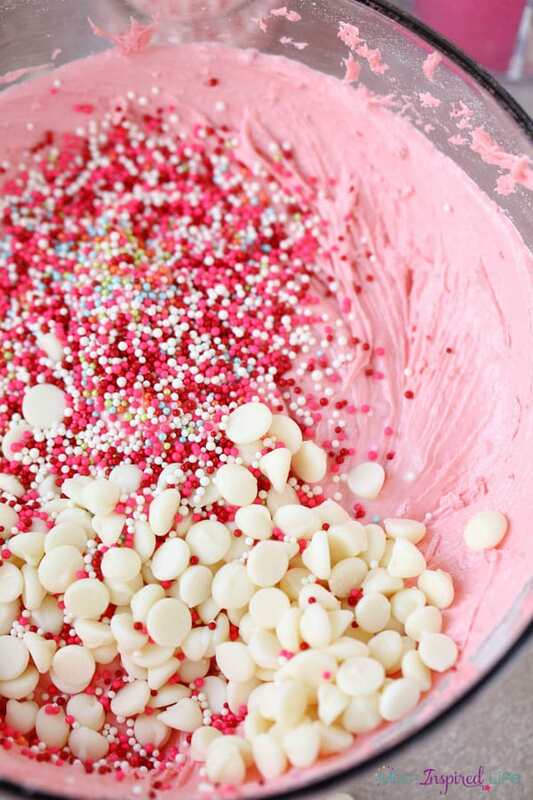 Gently mix in chocolate chips and all but 1 tablespoon of your sprinkles. 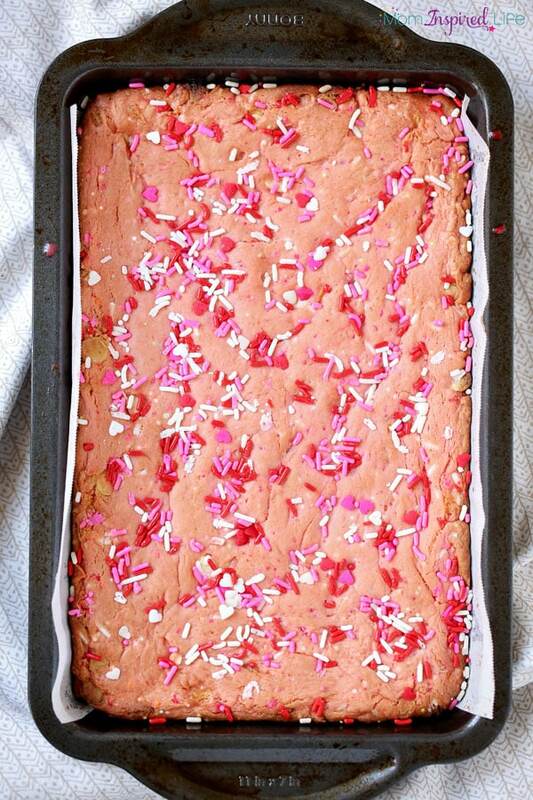 Line a brownie pan with parchment paper, then pour your cake mix into the pan. Bake at 350 for around 25 minutes. 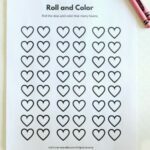 When finished baking, pull your parchment paper out and let your cake cook for around 10 minutes. 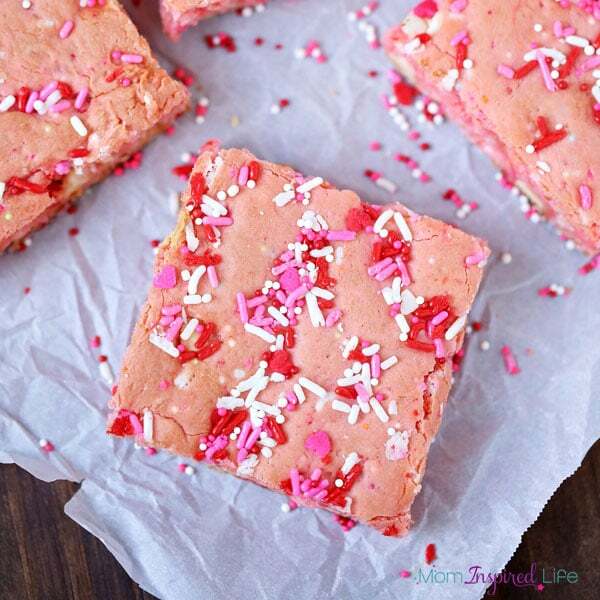 This Valentine’s Day dessert is sure to make your day even sweeter! 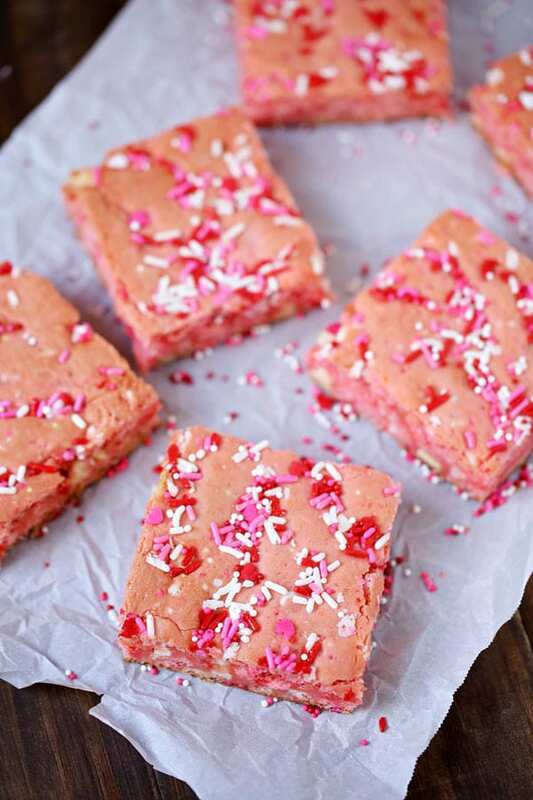 You should also check out these Valentine’s Day ice cream sandwiches. Yum!